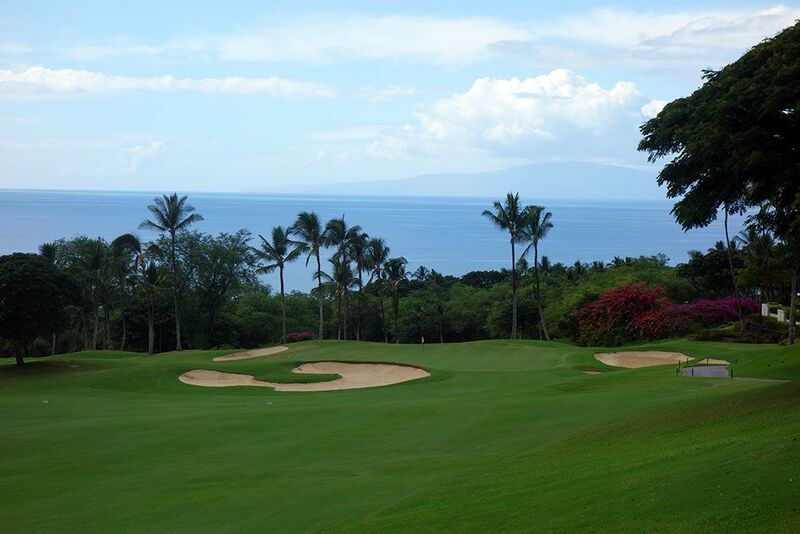 Course Website: Official Website - Visit Wailea Resort (Gold)'s official website by clicking on the link provided. 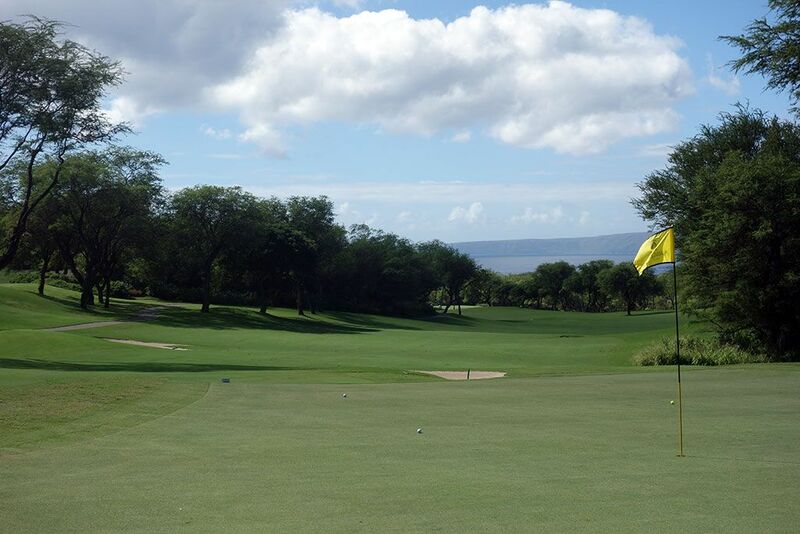 Accolades: Ranked 13th in Hawaii on Golf Course Gurus' Best in State list. 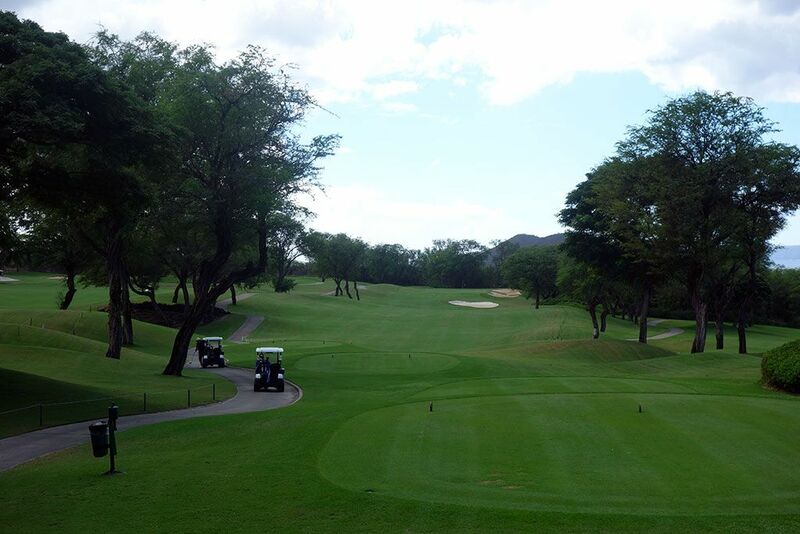 What to Expect: The Gold course is one of three tracks found at the luxurious Grand Wailea Resort in southern Maui. The Robert Trent Jones Jr. design opened in 1994 along with the neighboring Emerald course. While none of the courses border the coastline, views of the Pacific Ocean are afforded throughout the day. At the Gold course, the ocean views are found heavily on the front nine and are much more scarce on the back nine until the approach shot on the finishing hole. The outward nine is superior to the inward nine in terms of design, intrigue, and views with the inward nine featuring several back-and-forth holes as the routing climbs up the hill to setup a climatic finish. Several lava rock outcroppings exist throughout the layout to compliment the garden like setting where keeping the Bermuda fairways and tifdwarf greens in top share are clearly a priority. Nearly 100 bunkers are found on the Gold course, many of which are around and in front of the greens which can make approach shots particularly difficult for players that struggle to keep their shots airborne long. 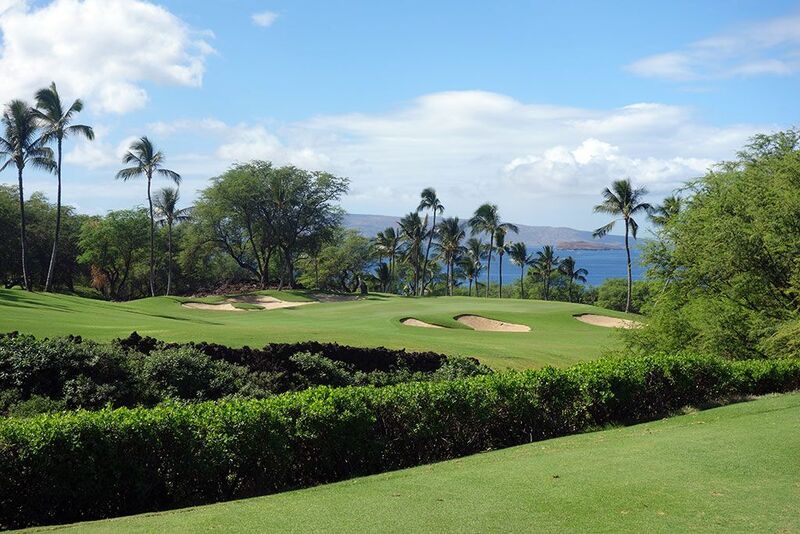 The Gold course is the most difficult track at Wailea which is part of the reason it hosted the Wendy's Champions Skins Game from 2001-2007. 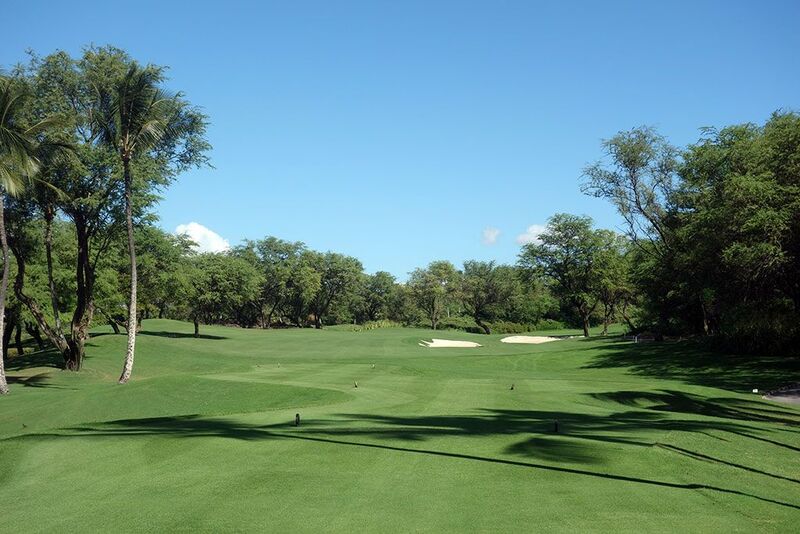 Since its opening, Wailea's Gold course has been considered on of the finest courses on the Valley Isle and that distinction shouldn't falter anytime soon. Signature Hole: 1st Hole – 422 Yard Par 4 – Rarely is the opening hole at a course one of the best, but at Wailea's Gold course that is exactly what you get. From the elevated tee players are afforded a beautiful view of the Pacific Ocean in the distance. 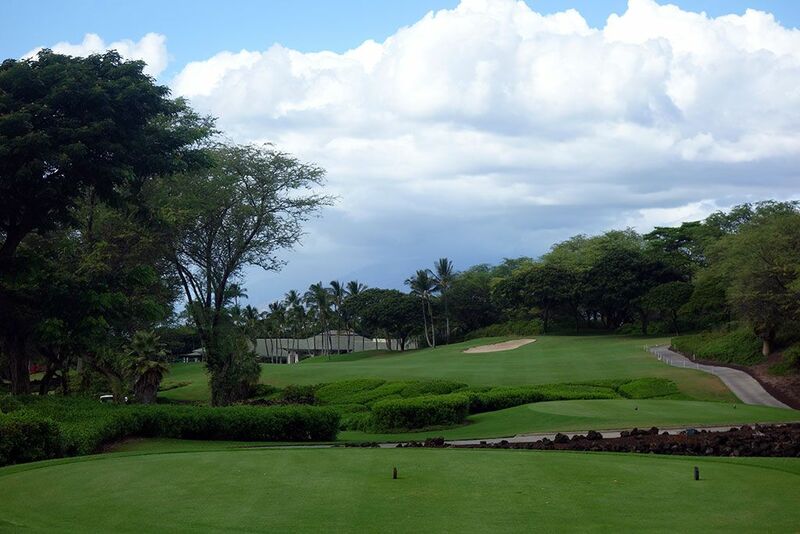 Lava rock turns the hole to the left where a downhill view of the green is afforded and four bunkers protect the green. 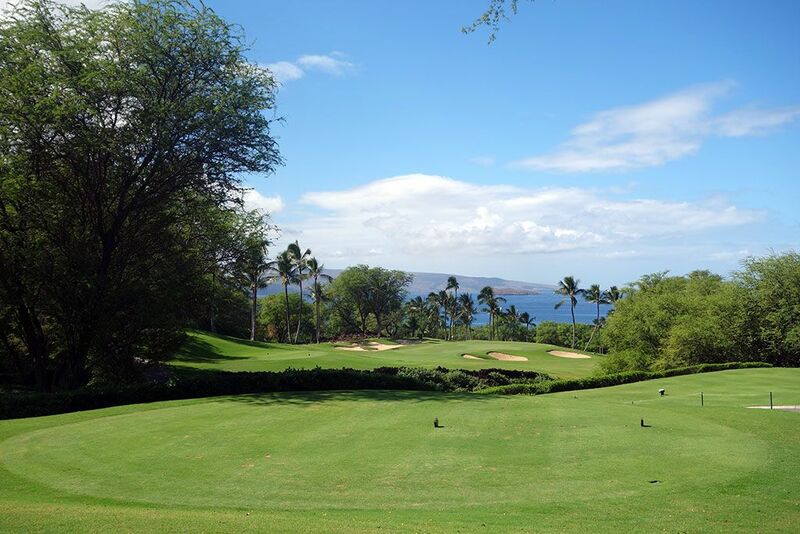 Best Par 3: 8th Hole – 216 Yards – The postcard hole of the Gold course is this downhill beauty that features tropical palm trees, attractive bunkering, and the vast Pacific Ocean in the background with Molokini and Kahoolawe in the distance. When you see any advertising or marketing of the Grand Wailea Resort, chances are this is the hole that will encompass the background. Best Par 4: 18th Hole – 438 Yards – The Gold's final hole wisely takes players back towards the ocean for one last piece of eye candy. This two-shotter is a hard dogleg left that plays towards a fairway bunker before turning left and downhill on the approach shot to a green surrounded by bunkers. 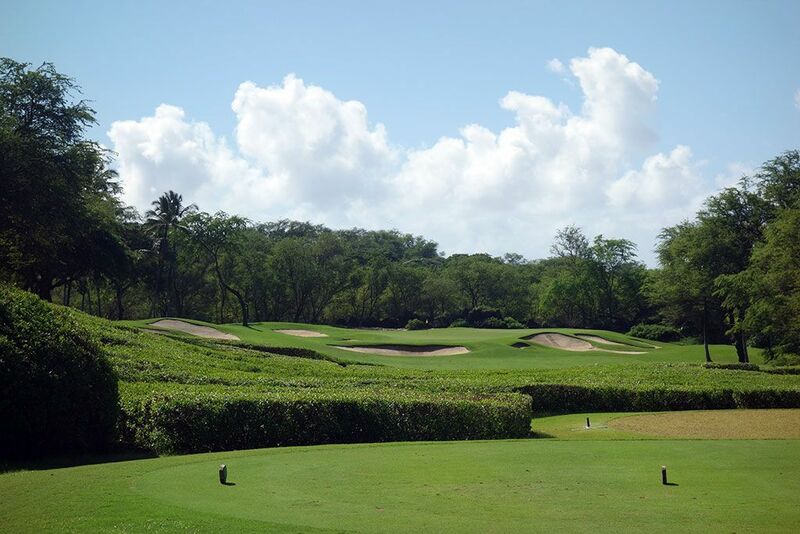 It is an exhilarating approach shot and a great way to finish a round of excellent golf. 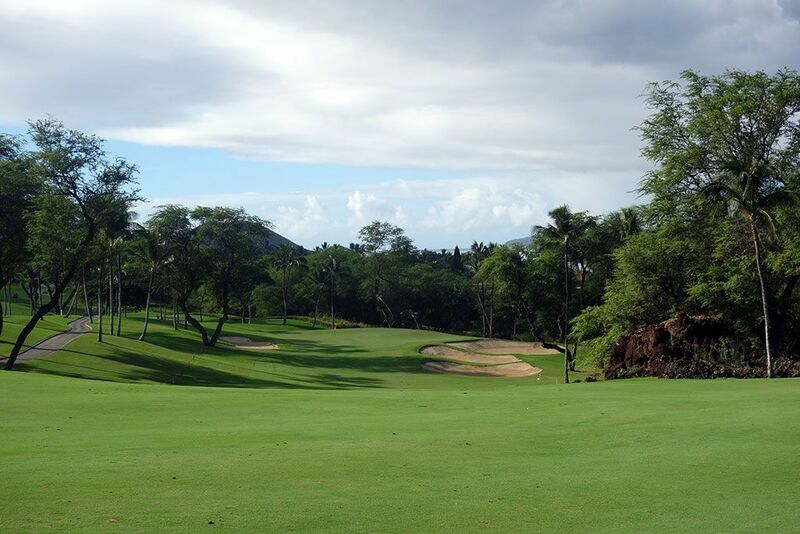 Best Par 5: 7th Hole – 590 Yards – This uphill par five takes an early turn to the right and tempts players to cut some yardage off the hole by attacking the corner of the dogleg that is well protected by sand. This three-shot hole is all about the second shot as you decide where to lay up to since there are seven bunkers between you and the green. The heart shaped green can be difficult to attack when the pin is up front and is more vulnerable with back pins. 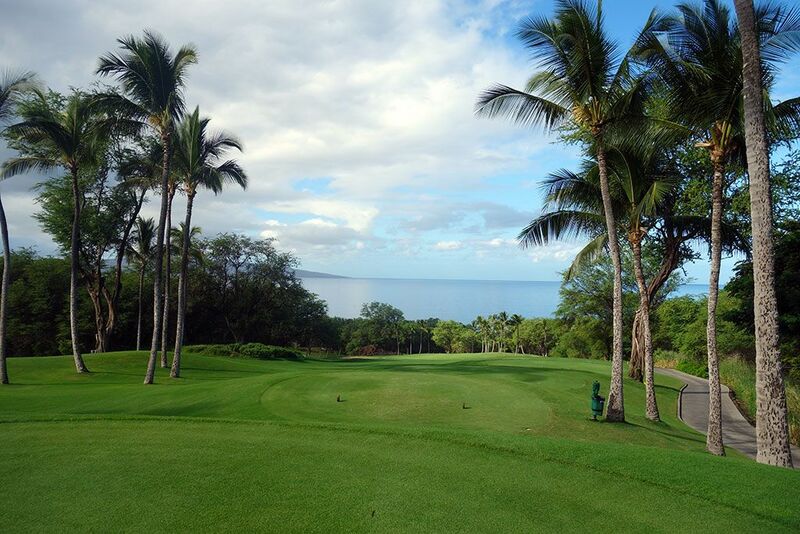 Views of the ocean are afforded from the green and act as an appetizer for the view coming up on the 8th hole. Birdie Time: 6th Hole – 287 Yard Par 4 – This short par four will be reachable off the tee for many players that decide to take a rip at the green. Bunkering is strewn throughout the hole but taking a line straight at the middle of the green will give your the best chance to reach it since the bunker on that line is well short of the putting surface. Two of the three players in our group walked away with birdie here, including me after my drive went over the back of the green and I was able to get up and down for a three. Bogey Beware: 12th Hole – 487 Yard Par 4 – You know a hole is long when two guys from your group turn to you after reaching their tee shots and say, "Is this a par five?" That is what happened to me when two players realized this long par four with an uphill approach shot is easily the toughest green to reach in regulation on RTJ Jr.'s Gold course. For a lot of players the smart play would be to not risk hitting their longest club on the approach shot and instead layup to a distance they feel confident sticking their shot from.